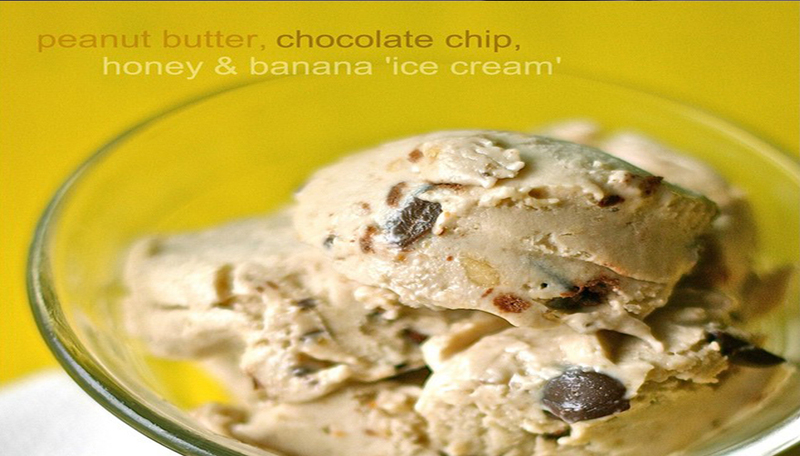 Blend bananas in food processor or electric chopper until thoroughly smashed into a smooth pulp, like mashed potatoes. Add the peanut butter and honey and mix thoroughly. Remove from the food processor/chopper and place in a freezer-safe container. Add the dark chocolate chips and mix well by hand.